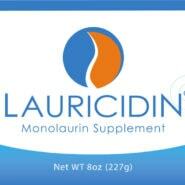 Lauricidin® is 95%+ pure sn-1 Monolaurin. It is derived from the extraction of the lauric acid found in pure coconut oil – then bound to a glycerin using our proprietary molecular distillation process to create pure Monolaurin. 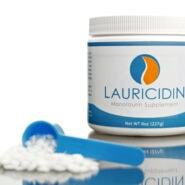 Lauricidin® is a dietary supplement for active families with healthy lifestyles (kids, adults, and seniors).